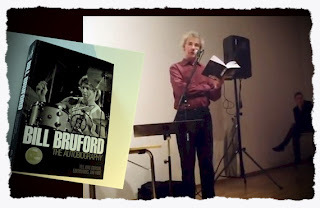 Bill Bruford’s professional musical career began in 1968. He was a guiding light in the British Art Rock movement, recording and touring internationally with Yes and King Crimson from 1968-74. Since then he has worked with many other artists, including Gong, National Health, Genesis and U.K., as well as leading his own bands Bruford and Earthworks. Bill Bruford: The Autobiography is his first book.